Emergency Dentists USA offers an extensive listing of 24-hour dental services in the Newark area with all of the information that you need to make an informed decision when you select your new emergency dentist. Simply scroll to our listing of friendly and helpful emergency dentists or you can make one phone call to our 100% free referral service and let our staff help to find the right dentist to fit your dental emergency needs. The staff at Emergency Dentists USA are so helpful, I am glad I found this website when I did. Have it saved now just in case I have to go through an emergency again! Emergency Dentists USA offers plenty of emergency dentist options when it comes to caring for your dental emergency. From walk-in clinics to after-hours dentists, Emergency Dentists USA is exactly what you need to make an informed decision for your dental care needs. There are several different types of clinics available to you when facing a dental emergency. Walk-in dental clinics allow patients to see a dentist right away, without waiting days or weeks for an appointment. Emergency 24-Hour dental clinics offer emergency access through their urgent care phone numbers. Also, after hours dentists offer after-hours care for patients that work during the day but need to be seen right away. Our comprehensive listing of emergency dentists below provides all of the information that you need to make an excellent choice regarding your new emergency dentist in Newark. Description Call to be connected with the perfect dentist for you. Newark is a large city and we have the connections to find an emergency dentist to fit your needs, and can get you an appointment immediately. Our referral service is the best option for anyone suffering from a dental emergency. We can help you find an emergency dentist in Newark in seconds! 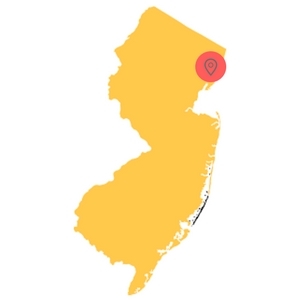 Easily find New Jersey emergency dentists with our service. Jones Dental Associates of Irvington P.C. Description: This facility encourages you to contact their urgent care phone number if you need immediate assistance. The dentistry practice provides affordable and comprehensive dental care to the people of Hillside, South Orange, Irvington, Newark, East Orange, and Maplewood. If your are seeking a walk in dentist in Newark or any of these areas, give this facility a close look. Description: Dr. Levene and the staff are known for being warm, compassionate, caring, and experienced individuals that will be able to help you with your dental emergency in no time flat. Everything from the need for an emergency extraction to help with a constantly re-occurring toothache can be solved here at this great clinic. Description: Gentle Dental is an after hours dentist that is open on Saturdays for your convenience, and is known for their standout treatment of every new patient that walks in the door. Dr Bernstein and his dedicated staff are always on hand to help with any new dental emergency that you encounter: it may be anything from a cracked tooth or broken crown on up to an abscess; they’ve got you covered. Description: There is nothing as reassuring as finding out that a chair is open for you in a dental clinic that cares about each and every single patient and boasts years of experience: Let Dr. Botero and the crew make sure that you are taken care of quickly, and know exactly what the future holds for your dental health plan. Description: ChildSmiles Dentistry is a great option as they are open from 8-3 on Saturday and have the experience and dedication to make sure that your needs are met quickly and with attention to detail. If you happen to have dental anxiety, they will be overly compassionate as well, making sure that you aren’t nervous in the least about any procedures you have to have done here. Description: Here at Chestnut Dental Group you will be treated as more than just a number, and right away you will be presented a plan for your continued dental health that will have you happy and secure about the future. Emergency dental clinic visits are just like a visit to your regular dentist’s office. Gather your recent dental records and x-rays to bring with you to your Newark emergency dentist appointment and try to arrive at least 15 minutes before your scheduled appointment time to fill out the necessary paperwork. Let the emergency dentist know how you plan to pay for your dental procedure and ask if they take your dental insurance. Bring a list of your current medications with you to the office visit and make the staff aware of any known allergies you have to medications. Let the dental office staff know about your fears. They are trained to help soothe those anxieties and make your visit as comfortable as possible. Common dental emergencies that are treated in dental clinics include painful toothaches, abscesses, broken or chipped teeth, and teeth that are completely knocked out. Partially extruded teeth along with broken or loose braces and wires are also common dental emergencies treated in many Newark emergency dentist offices. Below we discuss some of these dental emergencies and some at home remedies to try while waiting to see your emergency dentist. 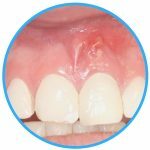 An abscess is a type of infection that occurs between the teeth or in the soft tissue of the gum below the teeth. Left untreated, this infection can spread to the bones of the jaw and other soft tissue areas. Rinsing your mouth several times with salt water will help to draw the pus that is created by the infection toward the surface of the tissues. This is a true dental emergency and you should contact your emergency dentist as soon as possible for treatment. Knocked out teeth are often associated with a fall or accident. A tooth that is knocked out should be grasped by the crown only and rinsed with plain water. Rinse the mouth thoroughly and try to place the tooth back into the gum socket. If you are unable to place the tooth into the gum, you can save the tooth by placing it in a small container of milk or Save-a-Tooth in order to bring the tooth with you to your emergency dental visit. Tooth trauma might be caused by a car accident, a sports injury, or even a fall. This type of accident can damage parts of your body other than your teeth. 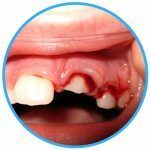 Visiting your nearest hospital emergency room is the best course of action when tooth damage is caused by an accident that could affect other parts of your body. If your trauma is localized to just your teeth, then an emergency dentist is the perfect solution for your dental problem. You might require an emergency tooth extraction if you have a tooth that has decayed beyond a dentist’s ability to repair. When this occurs, it is important to see your emergency dentist right away because the more quickly the extraction is accomplished, the less likely you are to have painful complications that require the use of medications like antibiotics and painkillers. Your dentist will begin your extraction procedure by first taking an x-ray of the tooth and performing an examination. He or she will then choose a local or general anesthetic to numb the area around the tooth. A special dental tool is used to pull the tooth from the socket and the gum is sewn shut using stitches that eventually dissolve. The area is packed with a small amount of gauze to control bleeding, and full healing generally occurs within one to two weeks. It is important to follow any instructions from your Newark emergency dentist during the healing process. If you have a tooth injury that comes from a car accident, a sports injury, or even a fall, there could be damage to parts of your body other than your teeth. This means that you should head straight to the hospital emergency room for treatment. Unfortunately, the emergency room physician is not able to fix a broken tooth, so if your dental emergency includes broken teeth or knocked out teeth, you will most likely be referred to a Newark emergency dentist treatment following your trip to the emergency room. Your standard toothache is best treated in a dental clinic. This type of treatment is generally less expensive and quicker than a visit to the emergency room. You also receive just one bill rather than a separate charge from the hospital ER and from the dental clinic that you were required to visit following your ER diagnosis. When you choose your Newark emergency dentist, it is always important to ensure that he or she is licensed and accredited in the New Jersey area. You can use the American Dental Association website located here: www.ada.org to check your new dentist’s certifications. You can also use the New Jersey Dental Association website located here: http://www.njda.org/ to check on licensing in the state of New Jersey. Each website offers a search option that allows you to check out your dentist right on the website.